So you want to perfect your Handstand? Or maybe you’re just starting out and want to learn how to be upside down. Either way, you will need to create a Handstand training program. Our friend Soundschi over at Handstand Diary has some great advice for you! 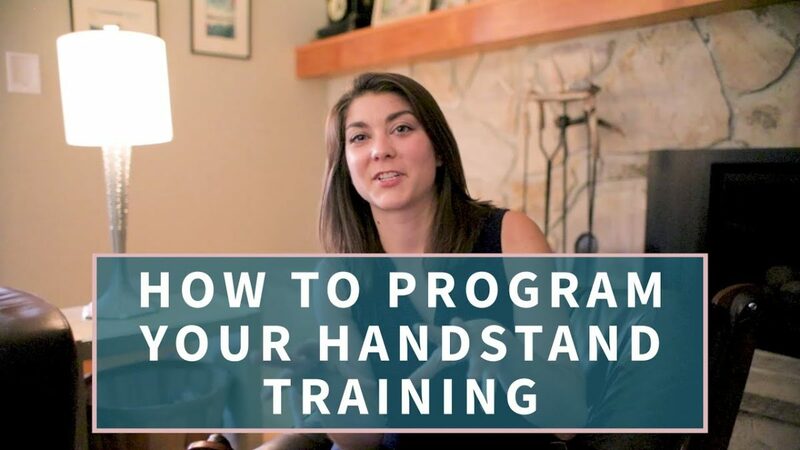 If you’re a brand new Handstand practitioner, the main recommendation is to get a coach! This practice is too individualized to attempt on your own at first, and by getting a coach you will be set up for success from the start. Set a specific goal for your Handstand training and figure out where you are in your practice in relation to that goal. This will allow your training program to be specific and to have progression. What can you practice as a next best regression to your goal? This is cool, because it makes sure that your foundation is totally set up before you attempt your goal skill. Safety first! Yes! your want to be doing this till you’re at least 90! Here’s Soundschi dropping her Handstand training program knowledge. Ladies and gentlemen, she’s done it again; setting up your Handstand training program after this video should be a breeze. To support Soundschi with a shoutout or question, please go to her YouTube feed or head over to handstanddiary.com and reach out to her directly. Stay tuned for more Handstand knowledge and inspiration from me and Kyle coming up soon!